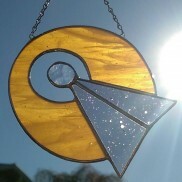 Stained glass sun catchers inspired by science fiction and fantasy. 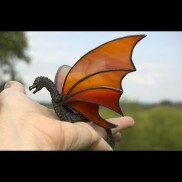 Everyone needs a dragon! 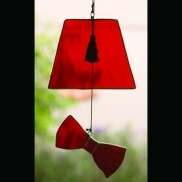 This one is hand made, with a metal body and stained glass double win.. 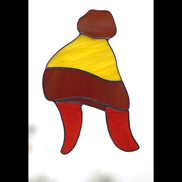 This sun catcher is for the highly logical beings among us. 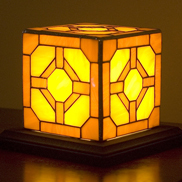 The honey golden toned glass of th.. 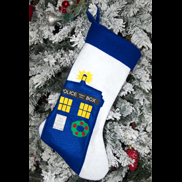 In honor of the "Go Home TARDIS You Are Drunk" meme, you can now have your very own adjustable drunk..
Are you ready to run? 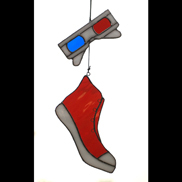 Let the world know with this 3D glasses and red trainer/sneaker stained gla.. The wand, the stone and the cloak. 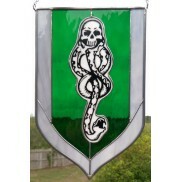 This sun catcher measures approximately 6.75" along each si.. 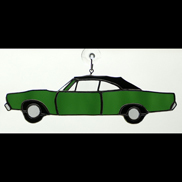 This two piece stained glass sun catcher will show the world just how cool you really are. It ..
Not everyone can pull off that stylish decorative vegetable look. 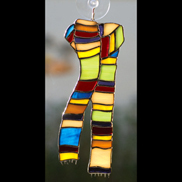 For those who love someone w..
Brighten your window with this lovely striped scarf sun catcher! 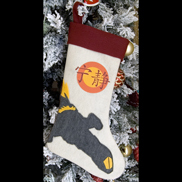 It measures roughly 8 inches tall a..
Ah, those striped, hand made knit caps with ear flaps, remember those? 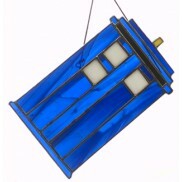 They could keep you war..
Let this stained glass sun catcher be your imagination's gate to the stars! It measures approx..
Every lord and lady of time knows you should extend visitors a proper welcome! Greet your gues..